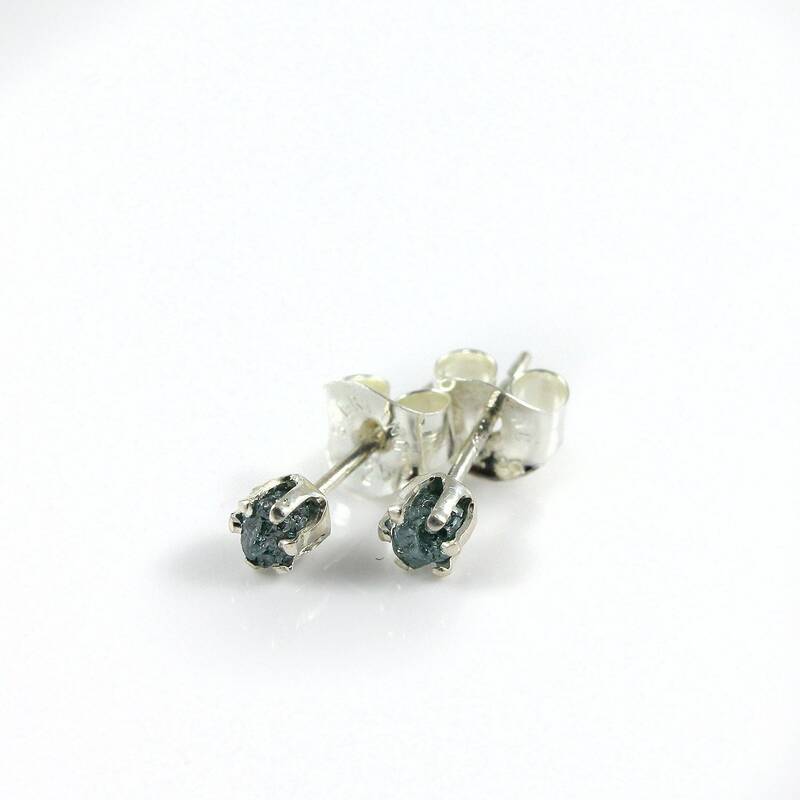 This listing is for phenomenal, natural blue rough diamond earrings. 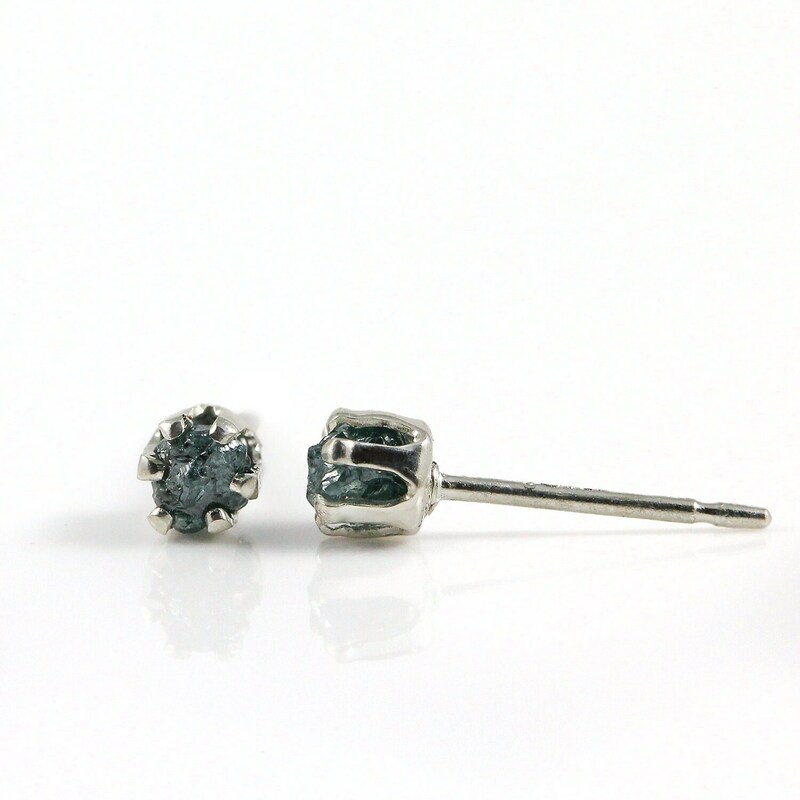 These precious, rare blue uncut raw diamonds are difficult to find and have amazing strong color and diamond sparkle. 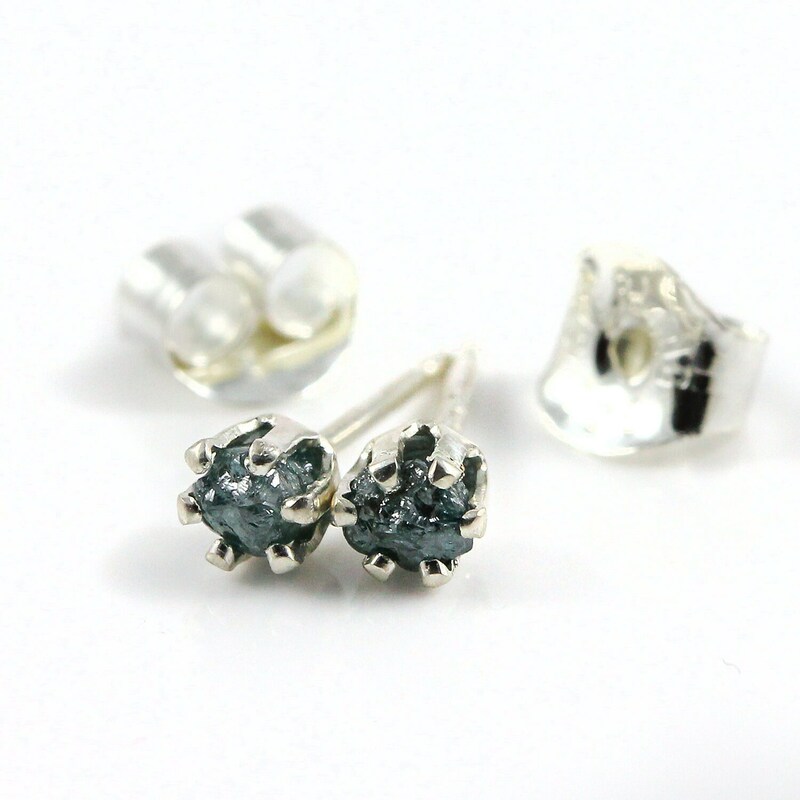 The stones are set on 3mm Sterling Silver studs and vary approximately 2.5 - 3.0 mm in size. 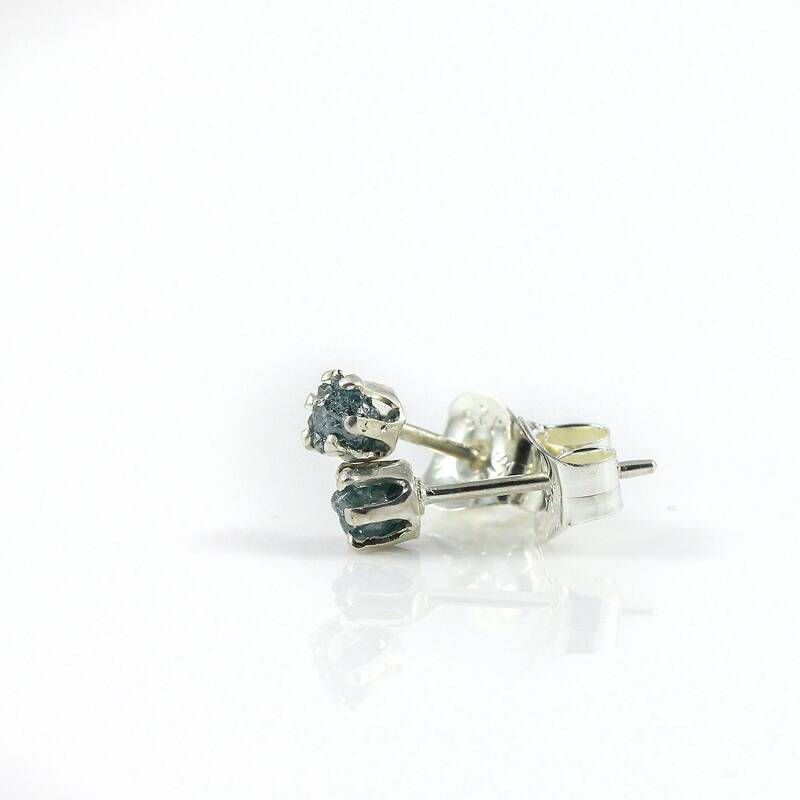 Since rough diamonds are natural and unfinished, they may slightly vary in size, color and shape set on each pair. 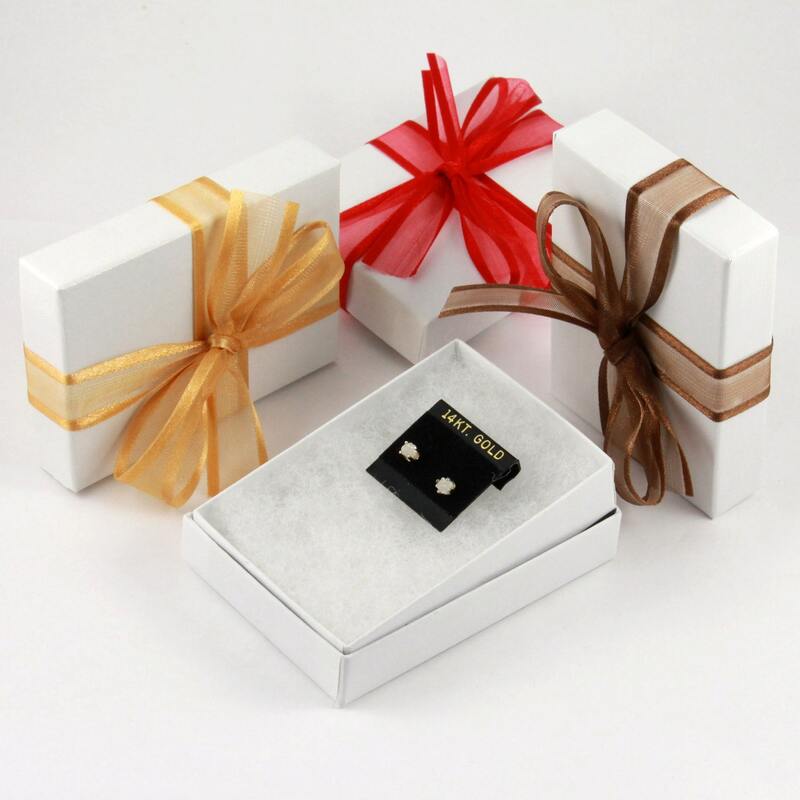 The earrings come in a nice gift box as features in picture #5 sample. It is ready for gift giving!